Ever seen a movie where the hero administers his escape using the secret laser in his watch? Well, if you ever encounter such a situation, there’s a gadget now available for you; no need to be a secret MI6 agent. 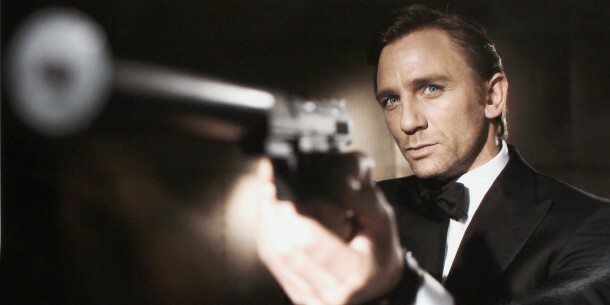 Laser Weapons Hobbyist, Patrick Priebe, has created a “Bond-inspired Laser Watch”. 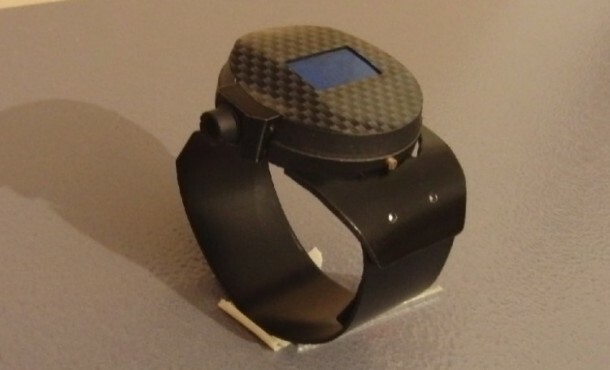 The watch features a metal body, a carbon fiber face that is clear-coated, salvaged LED watch module and the key item, a 1500milliwatt laser. As shown in the video below, the laser is capable of burning through a number of materials in a short amount of time. Activated using a custom-made brass button, this laser is powered by a lithium polymer battery in the wrist strap. You will have to use it carefully, as Priebe tells us that no more that 5-10 minutes of the laser being live will drain out the battery. While most of his creations are marked as “not for sale”, Patrick is changing the policy for this one. 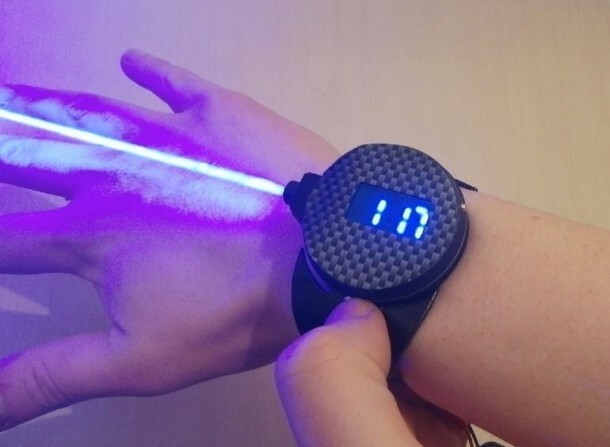 He plans to develop more of these Laser Watches for the clients who pay. The time taken for the development of one prototype was approximately 40 hours, however, he’s planning to launch it for “nothing under $300”. Given the circumstances you might use it for, the cost is not that much we guess.